The Derby-Shelton Rotary Club is very proud of the numerous programs that it either runs or supports that provide a unique benefit to the community. You can find evidence of Rotary generosity throughout our two cities including the beautiful pavilion on the Riverwalk in Shelton. Click here to learn about the Pavilion. 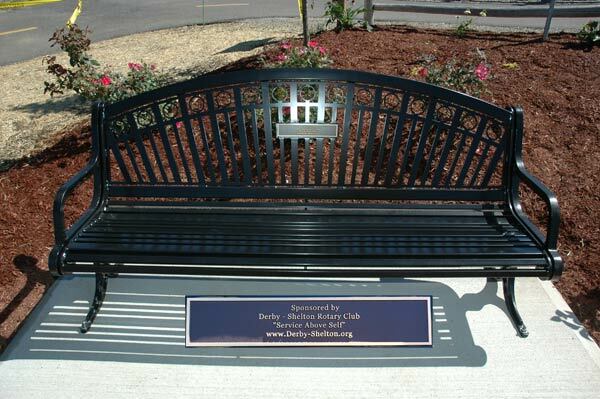 You can also see signs of Rotary at work along the Derby Greenway where we have a bench and bricks on the Hall of Fame Plaza at the Division Street entrance. Rotary Centennial Clocks can also be fond in front of Derby City Hall and the Shelton Farmers Market. A special Rotary grant was the beginning of an effort to upgrade the Derby-Shelton Bridge to make it more pedestrian friendly and aesthetically pleasing as a gateway entrance to both cities.